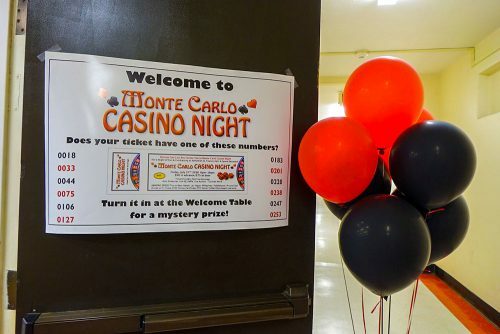 Many thanks to all who worked tirelessly to make our Monte Carlo Fundraiser such a success! Over 250 people were in attendance and had a wonderful time, dancing, sharing in great food and games for some great prizes! There was such fun high energy in St. Francis Hall that night! I am happy to announce that we raised $20,800 at this event to benefit the Capital Campaign for the renewal of St. Francis Hall! There was also a private donation of $10,000 and so the whole event raised over $30,000!!! Once again, I thank the planning committee for their generosity to make Monte Carlo such a wonderful evening for all of us in the parish! You’re the best!